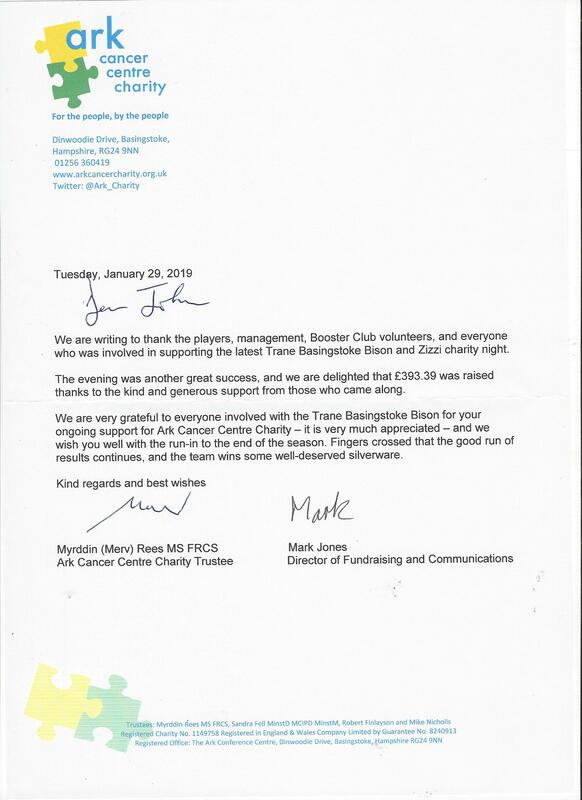 On Wednesday 23rd January the Trane-sponsored Basingstoke Bison and Zizzi restaurant teamed up for the second of our ever-popular charity evenings to help boost the Ark Cancer Centre Charity�s �5million fundraising appeal. An enjoyable evening was had by all and we thank the players and our great volunteers for all their hard work on the evening. This week, we received a lovely letter of thanks from Mark and all at Ark acknowledging the clubs support (see image).